The Advisory Council for the Misuse of Drugs made the recommendation to reclassify the drug in a letter to ministers, including the then home secretary Theresa May, in January 2016. The letter cited warnings from the Health and Social Care Board (HSCB), which highlighted "significant misuse and abuse" of the drug. Where are the drugs coming from? There is a growing illicit market for the drug in Northern Ireland, with many people purchasing it online from unregulated websites. It is understood that Lyrica has been coming into Northern Ireland in fairly constant levels for a number of years, along with other prescription drugs including diazepam and temazepam. Packages of the drug ordered by customers in Northern Ireland are intercepted by the National Crime Agency (NCA) and the UK Border Agency at airports in England every week, according to the Police Service of Northern Ireland (PSNI). While the drugs are referred to as prescription drugs, they are largely not being prescribed through community pharmacies. They are illicitly bought or sold and supplied through the internet and largely the individuals are appearing to be using a mixture of drugs. Joe Brogan, the HSCB's head of pharmacy and medicines management, described the growing numbers of deaths associated with pregabalin and other prescription drugs as a "scourge". 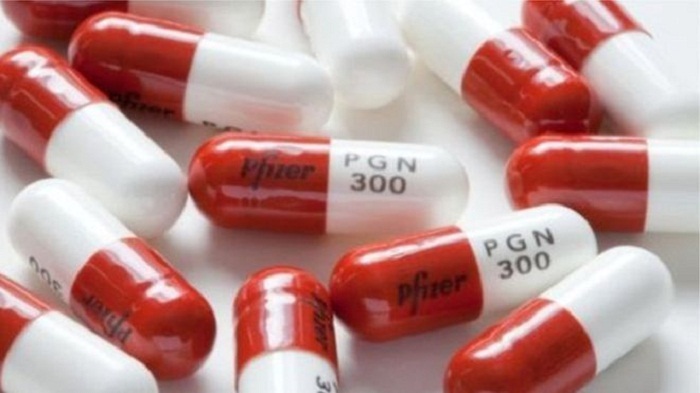 He added: "In many cases of pregabalin misuse, it has not been prescribed - it has been sourced through family or friends or bought on the street or via the internet. "Many such drugs that are bought from illicit sources do not actually contain medicines that they purport to be. "Any medicine or any drug can be a poison - it all depends on three things: Where you get it from - was it prescribed and supplied from a regulated source? ; how much you take - was it taken within accepted dosages? ; what you take it with - mixing drugs together and with alcohol can create a toxic mix that is lethal."